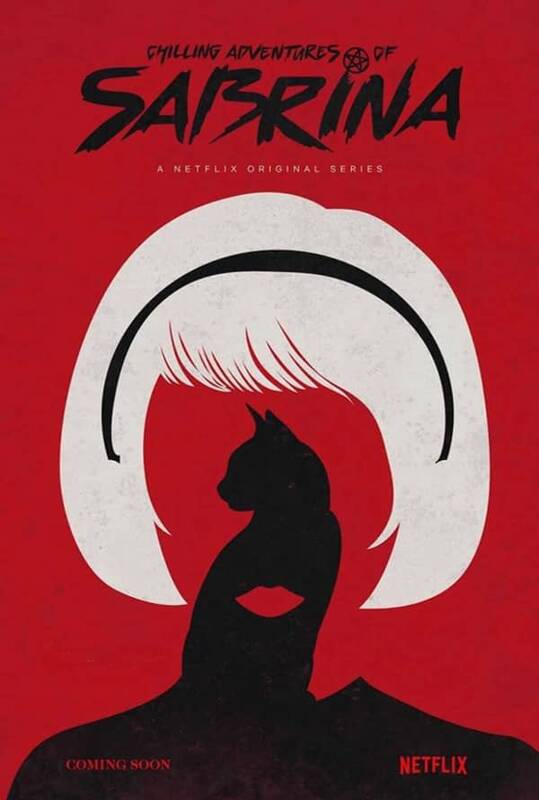 Billed as a spin-off of the CW’s popular reimagining of the Archie universe Riverdale (though what connection if any the two series may have has yet to be determined), Chilling Adventures of Sabrina tells the real story behind the teenage witch’s occult origins. Sabrina’s dark coming-of-age story has her confronting horror, the occult, and witchcraft; and sees Sabrina struggle to reconcile her dual nature of being half-witch and half-mortal while trying to protect her family – and the world – from the forces of evil. Kiernan Shipka, Ross Lynch, Jaz Sinclair, Michelle Gomez, Chance Perdomo, Lucy Davis, Miranda Otto, Richard Coyle, Bronson Pinchot, Tati Gabrielle, Abigail Cowen, Adeline Rudolph & Justin Dobies star in the upcoming Netflix series.